In another blow to the proposed third front, one of its key members AAP lost its deposit in all 29 seats that it contested in Karnataka. Prithvi Reddy, AAP’s Karnataka convener who took on Congress heavyweight K J George from Savagnanagar, could only manage 1,861 votes and acquired a distant fourth position. 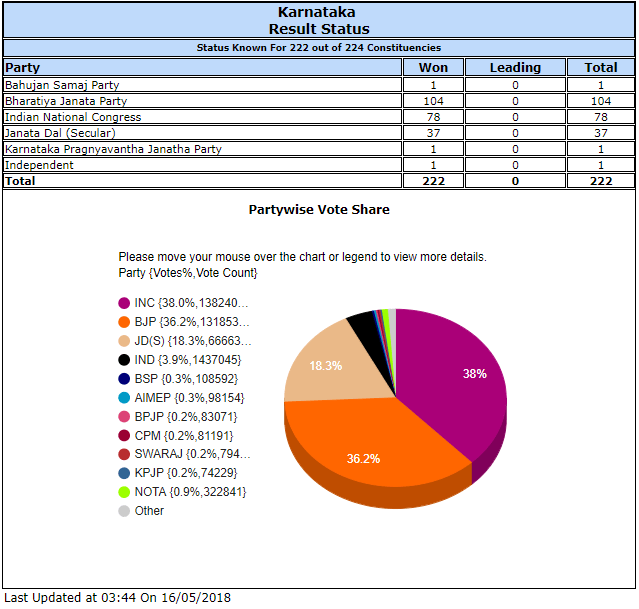 The Party had contested in 29 seats, 18 of which were from Bengaluru and 11 from other parts of the state. Reflecting on this rout faced by AAP in Karnataka elections Reddy reflected, “We were washed out but I cannot understand why. We got a lot of support but that could not be converted into votes”. AAP’s abysmal performance comes on the back of talks about a federal front comprising all leading regional parties to counter the surge of BJP at the national level. AAP previously secured a blank mandate in Goa and later in Gujrat polls. This indicates the underlying differences that are prevalent in regional parties, if this continues then it is hard to imagine regional parties coming together and even if they do, the question as to how viable this front would be, still persists.